“The opportunities and development of the pride in my existence came with the pivotal move into my fathers home when I was 16 years old. He recognized my humanity and encouraged it to flourish, teaching me hoe to drive and supporting my securing of a job. He allowed me freedom that my mother would have never condoned and with it I forged the identity that I love. It is wonderful to finally love myself. It is crucial that other parents of children with disabilities allow their children to obtain a sense of independence because it is necessary for self- sufficiency.” (retrieved from UNICEF, 2006, pp. 26-27). Coming to conclusion, this story shows that people make a mistake feeling pity and sympathy toward disabled, and from the life experience of Bethany we can see that it is better to concentrate on their abilities, disabling the barriers for their socialization and treating them as usual people. Indeed people with disabilities are able to pursue the life fulfilled of achievements and joy provided that society does not limited their opportunities. And these four girls with hearing impairments, dancing despite their difficulties in a big scene in front of dozens of people, is evidence to it. UNICEF (2013). Analysis of Conditions of Children with Disabilities: for the Further Development of Inclusive Education. Astana: UNICEF. UNICEF (2006). Excluded and Invisible. USA: New York, UNICEF. Train your brain making your life brighter! 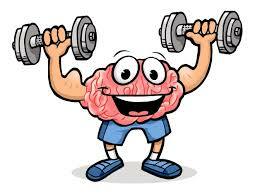 The exercise that helps the brain to be alive is Neurobic. It was introduced by Dr. Lawrence Katz, the Professor of Neuro–biology of Duke University Medical Center, who states that neurobic is based on the brain’s ability to produce neurotrophins that fertilize the brain connections, preserving them from aging. Neurobic exercises imply usage of emotional sense and five physical senses, including hearing, touch, smell, sight and taste in an unpredictable ways, thus breaking down the everyday routine (http://www.keepyourbrainalive.com/). 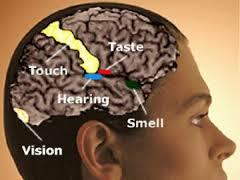 The most striking features of the “brain gym” is that it is time consuming and it does not require special equipment. Our prosy life events can serve as the sport hall for brain training. For instance we can change our habits, trying to tie shoes with the close eyes, rearrange the office or brush the teeth using left hand while your working hand is right. The main principle of neurobic is to bring changes in your life, starting from simple things such as ways to go for a work, food, aromas etc. 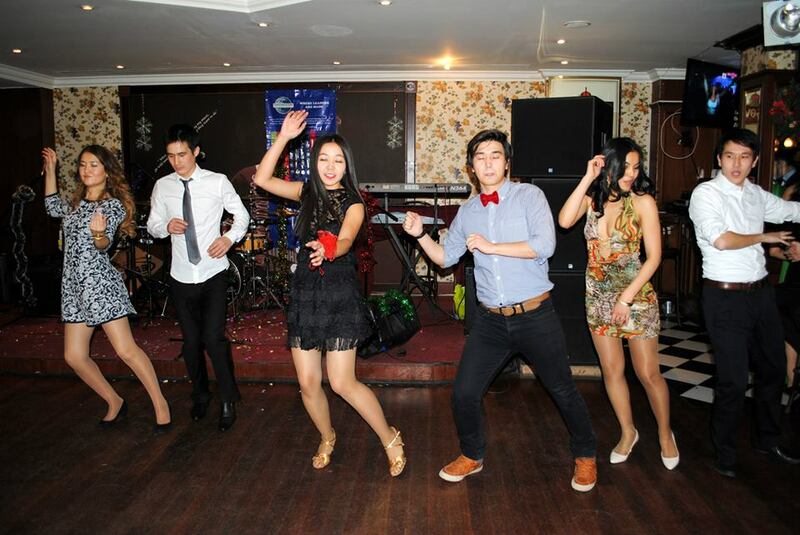 and finishing with new activities, places for holidays or habits (Кинякина, 2013). Neurobic is a life style which is able not only to activate the brain, keeping it fit, but also break uniformity of the life. Who knows, probably new things you saw in the morning walking to the work by a new route will lead you to the new ideas for your business, or you will meet person you like. Ps. I hope this post will motivate you to leave your comfort zone, developing your intellectual abilities and letting changes happen in your life! Кинякина, О.Н. (2013). Мозг на сто процентов. Интеллект. Память. Креатив. Интуиция. Россия: Москва, Эксмо, – 848с. I remember when I was learning basic math skills in a primary school, some of my class mates were struggling with the 3+3 task written on the blackboard, until our teacher gave them by three pieces of papers into each hand, saying that it is money, as a result they could feel it and immediately delivered the right answer. Now being a master student in the field of education, I admired my teacher even more because I understand that she knew all the features of her students and adapted her tasks according to their needs. I am not sure if my teacher was aware about the Gardner’s theory of Multiple Intelligence, which I am going to discuss in this post, but the approach she used to teach was allied to it. 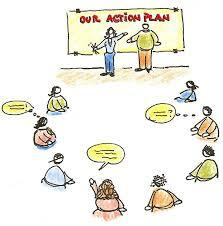 Interpersonal, understands and relates well to other people (Barrington, 2004; Stanford, 2003). According to Stanford (2003) each person possesses all of these intelligences in different ways. Some people are developed in all areas, while others can be weak in most of the intelligences, having only one ability highly developed (Stanford, 2003). MI theory became a breakthrough not only in the field of psychology, but also found an application in education. The principals of this theory serve as a basis for curriculum, pedagogy and assessment at schools and other educational institutions around the world; tons of books dedicated to the relevance of MI theory to education. “Educators have seen the value of Gardner’s MI theory and continue to use it to help students learn more effectively” (Adcock, 2014, pp. 51). Many researchers have agreed that teachers, knowing the dominant intelligence of their students, are able to cater the diverse needs of the class through combination of different teaching techniques, thus, promoting an inclusive pedagogy (Adcock, 2014; Barrington, 2004, Murray and Moore, 2012; Stanford, 2003). Adcock (2014) revealed that most of the teachers who approached MI in their classroom found it helpful in terms of addressing the diverse needs of all children and giving the variety of instructional methods (Adcock, 2014). Considering the fact that children with special needs are tend to have deficits in linguistic and logical-mathematical intelligences, the application of MI theory, which helps to identify strengths of these children, is valuable for inclusive education (Stanford, 2003). ‘Taking “advantage of the diversity” is fundamental to an inclusive philosophy, as the advantage lies not in having to deal with differences of students but in encouraging all students to challenge themselves to the best of their ability” (Murray and Moore, 2012, pp. 44). Teaching and learning with MI approach considered as an inclusive pedagogy because it works with a wide spectrum of intelligences, instead of focusing on two of them. This allows avoiding exclusion in classroom and engaging all students in learning process by using their strengths (Barrington, 2004). 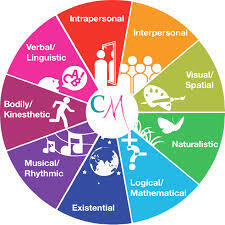 To sum up, MI promotes inclusive education basing on the idea that every individual has strengths in different areas, thus enabling teachers to differentiate the content in accordance to these eight intelligences. Here are my questions: Have you ever approached or experienced MI (being a student) in your classroom? 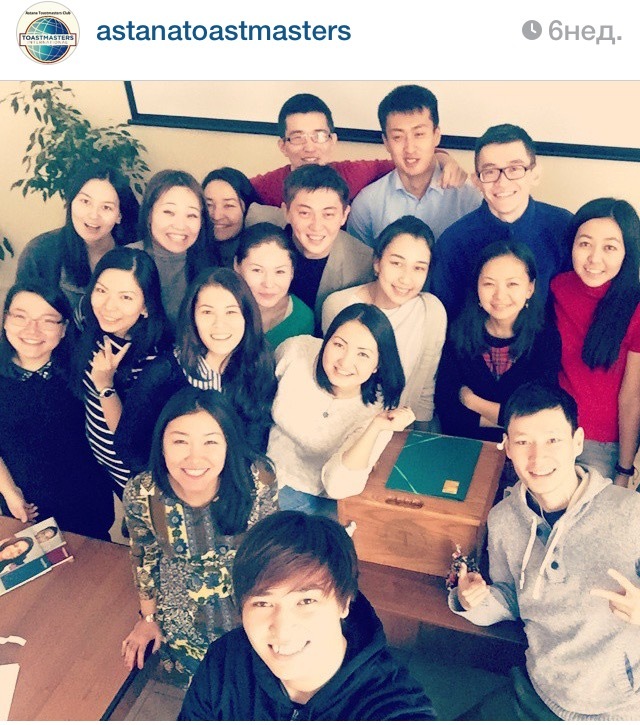 How do you think MI can be approached in Kazakhstani schools? Adcock, P. (2014). The longevity of multiple intelligence theory in education. Impact of Educational Reforms, pp. 50-57. Barrington, E. (2004). Teaching to student diversity in higher education: How multiple intelligence theory can help. Teaching in Higher Education, 9(4), pp. 421-434. Murray, S. and Moore, K. (2012). Inclusion through multiple intelligences. Journal of Student Engagement: Education matters, 2 (1), 42–48. Menevis, I. and Ozad, B. (2014) Do age and gender influence multiple intelligences? Social Behavior and Personality, 42, pp. 9-20. Stanford, P. (2003). Multiple intelligences for every classroom. Intervention in School and Clinic, 39(2), pp. 80-85. Hi, dear master students! I thought a lot: what could be the perfect topic for my first blog here and, finally, one thing came to my mind. 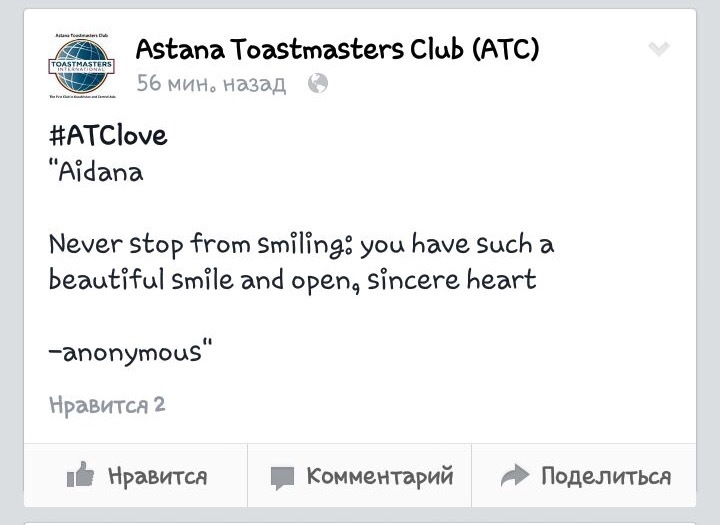 I decided to write you about my personal plentiful source of inspiration which is Astana Toastmasters Club. 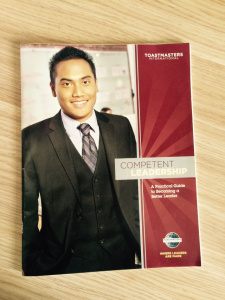 I guess, many of you have heard that Toastmasters is public speaking club, however: what really happens there and why It worth to be its member? These two questions will be answered below. 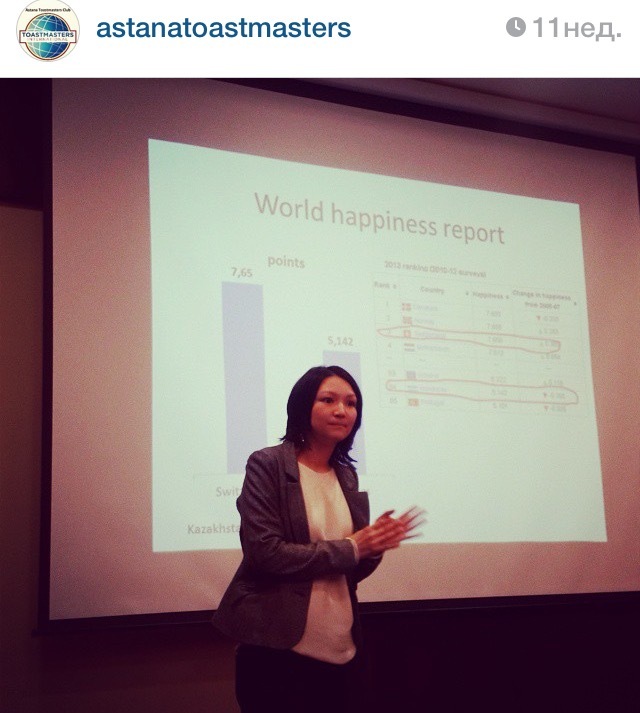 To begin with, Toastmasters Club is internationally recognized public speaking club that creates a positive environment for its members to practice communication and leadership skills. Nowadays there are about 14,650 clubs around the world with 313,000 members. 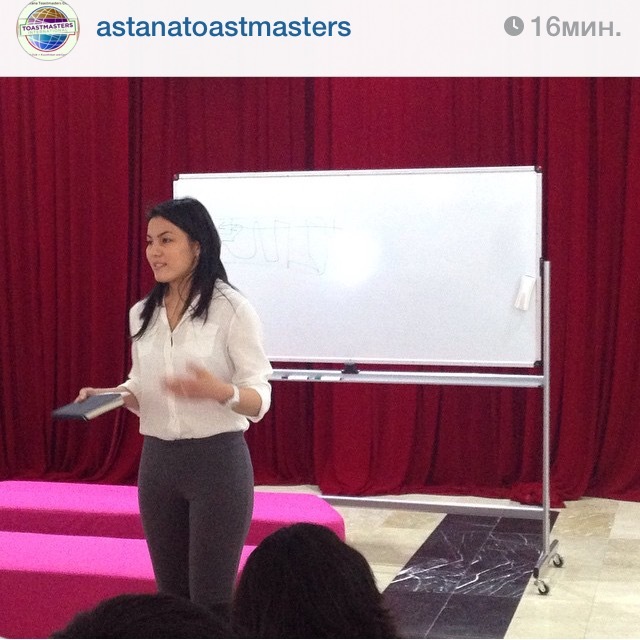 As for Astana Toastmasters it is the only club in Central Asia and the first club in Kazakhstan. ATC meetings are held every Saturday from 12:00 to 14:00 pm. 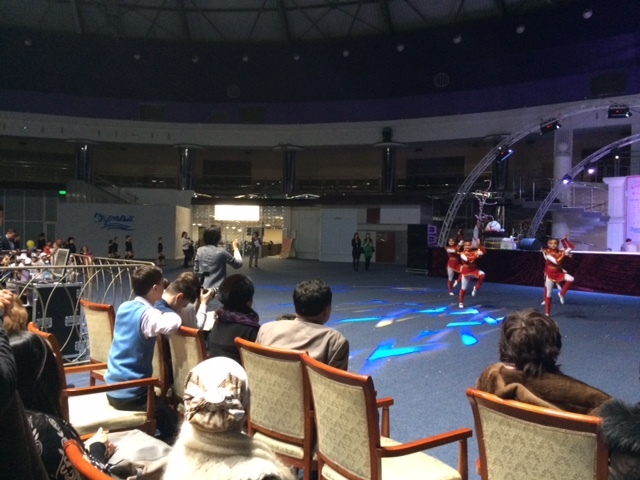 in Astana Mall, and every second Thursday from 19:00 to 21:00 pm. in Interpress Language School. It usually gathers about 20-25 people. During the meeting members fulfill different roles such as grammarian, timer, speech evaluator, table topic master and of course speaker. Coming to the question why it is worth to join ATC, I would say the are three main reasons. Firstly, we as future leaders in education will have to speak in front of big public presenting new ideas and theories of education, leading professional conferences or even promoting our own schools. To succeed in public speaking and to impress the audience requires set of skills which can be acquired by any person. I have met many people who come there to challenge themselves and to overcome their public speaking phobia. And guess what? They do a great job and have a significant progress speech by speech, because ATC is the perfect place where you can strengthen your public speaking abilities. There you will be provided with warm and welcoming atmosphere and mentoring support. Every ATC member gets two manuals one of them is Competent Communication manual, which includes ten speech projects and each of them has different focus to develop from speech organization out to inspiration of audience and vocal variety. After completing the first manual you will be certified as a Competent Communicator Certificate, which considered as internationally valid and can be applied together with your CV. Secondly, ATC is a place where leaders are made! Where everyone has opportunity to unveil leadership potential participating in different projects, making impromptu speeches and helping in organization of the meeting. As I mentioned before there are two manuals, so the second one is Competent Leadership which also consists of ten projects that are aimed to develop core leadership skills. From my personal observation the concept of leadership in terms of ATC perspective is built up on the four main principles. The first and foremost one is about ability to inspire others, as John Quincy Adams says “If your actions inspire others to dream more, learn more and become more, you are leader”. The next one implies the principle of effective listening that is not only ability to listen carefully, but also to hear the message that others want to deliver. Effective listening is very essential, especially, for developing critical thinking, which is the third component of leadership. Critical thinking is developing while you taking the role of speech evaluator or general evaluator, it includes providing constructive feedback that is conveyed in positive and tactful manner. And the last but not least principle of leadership is being initiative. That means active participation in different activities and events such as membership campaign, charity, birthday celebration and etc. Finally, as we all know today’s world hinges upon communications, as many people you know as many opportunities you have. ATC is an ideal place for networking, where interests of people with different backgrounds, ideas and believes cross over. Besides the purpose to improve public speaking, you can also come there to find new friends, love, connections, social recognition and, of course, inspiration, a lot of inspiration! 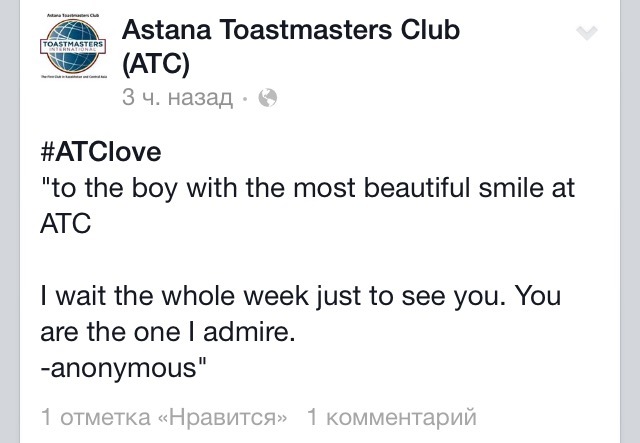 ATC members relate to each other with mutual kindness and respect thereby creating warm family atmosphere. And as any family does, ATC also has its own traditions, which are like glue, help to strengthen friendly and warm relationships. 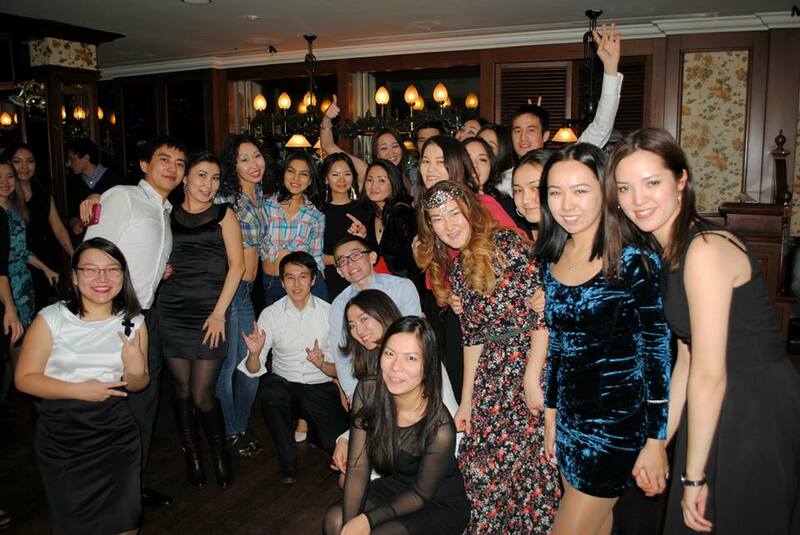 In the first place their tradition to dignify members according to their achievement, for instance, Competent Communicator Asset Maratbekov (CC), Advance Level Communicator (ALC) or Competent Leadership (CL). It sounds highly respectful, especially for new members who inspired to become one of them. Another important tradition is Birthday Celebration because ATC members always glad to congratulate Birthday Person giving a gift and extending the best and kindest wishes. And the last but not least tradition is organization of different activities and parties where you can get to know better new friends, share your ideas and demonstrate your talents. To conclude, that were just my personal reasons to join ATC, that is why I suggest you to come to ATC meeting and to find out why it could be interesting for you. You definitely will explore something new for yourself and will enjoy the ATC atmosphere. If you have any questions feel free to ask me!